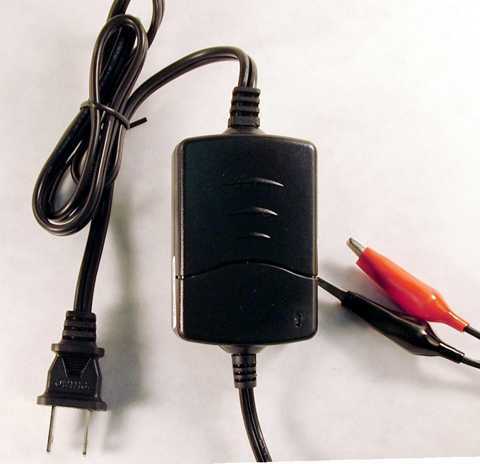 Small size, only 0.79" x 1.97" x 4.33"
Run your QRP rigs at full power when you are traveling! Most rigs are rated at 13.6-13.8V, and power output drops quickly as you get down to 12V, as any battery user knows. This little gem is a real powerhouse. We tested the CUP-36 power supply extensively in the Oak Hills Research labs before selecting it as our standard power supply for use with the OHR kits and accessories. With adequate grounding, we found no trace of either RFI emission or susceptibility over the widest possible variety of loads. We also found the voltage to be a rock-solid 13.7V over the entire load range-- the 4% tolerance figure relates to the extremes of input voltage and frequency. But note that proper operation of the filter requires your equipment to be grounded (see application note at the bottom of this page). The CUP-36 is smaller and lighter than a 7Ah gell cell, and will supply 2.4A at 13.5VDC continuous. With the right AC power cord or adapter you can plug it in anywhere in the world. 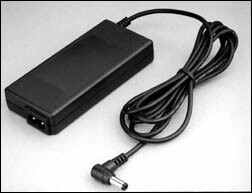 The supplied AC cord is two-pin US standard. The output connector is 2.5mm coaxial, so it will plug right into any OHR transceiver or accessory, as well as many other brands. Output 13.8VDC at 3A continuous load, 5A surge. 5-way binding posts (banana plug, straight wire, wire-wrap, spade lug, ring terminal). Weight 5 Lb 9.6 Oz. Name 12 Volt charer for lead acid, sealed lead acid, gel cell , etc. "Charged" light turns on and float charge starts when the charge current is below 0.20 amps ±0.05 amps when the battery charge voltage is above 14 volts. Before we published this note, several users complained of RF “hash” emanating from the power supply despite the built-in EMI filter. In every case the problem was due to an inadequate or nonexistent electrical ground connection on the output side of the supply. It is the nature of filtering that you have to filter the noise TO someplace, e.g. ground. And it is the nature of switching power supplies that they are isolated from the service ground (note that there are only two input power terminals). 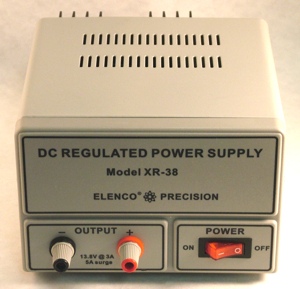 Standard practice in amateur radio requires your transmitter to be grounded, and this ground connection is usually adequate to insure proper functioning of the power supply’s EMI filter. Often a separate “RF ground” connection will be adequate. If you are experiencing RFI problems you should try creating an “electrical ground” for your radio by running a wire from the radio’s chassis (e.g. one of the antenna connector mounting screws) to the ground terminal or cover plate on the electrical outlet that you are using with the power supply, or to a convenient water pipe.